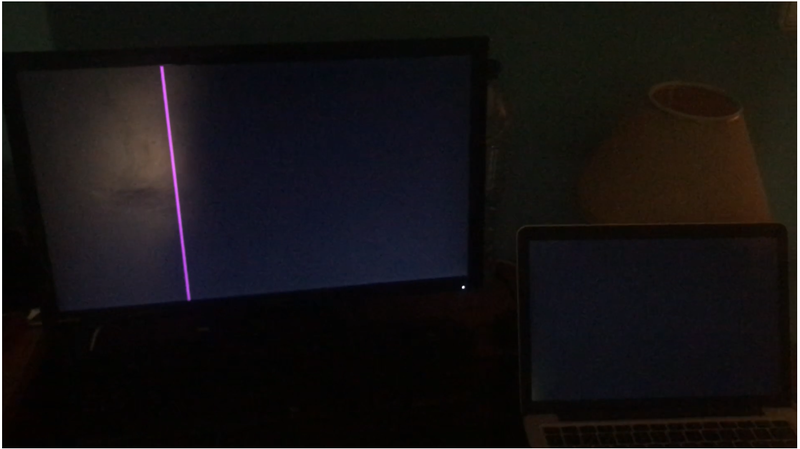 When I start my MacBook Pro the screen goes black, it makes the boot noise but no image appears, but the computer is on because the capslock led comes on. I have already seen in some forums about this problem but none of them helped me, I have already reset NVRAM and SMC but continue to boot the black screen. Does it start out grey and go black or is it just black all the time? Do you have an external monitor to test with? Question from balu2815 : "MacBook Pro booting to a black screen"
Well my sister has a MacBook Pro Retina 13 and two days ago when she was doing work on the Mac, the Mac monitor started to have a few glitches for a few seconds until the screen turned all black, she shut down the Mac and when she turned the Mac back on, the screen was black. 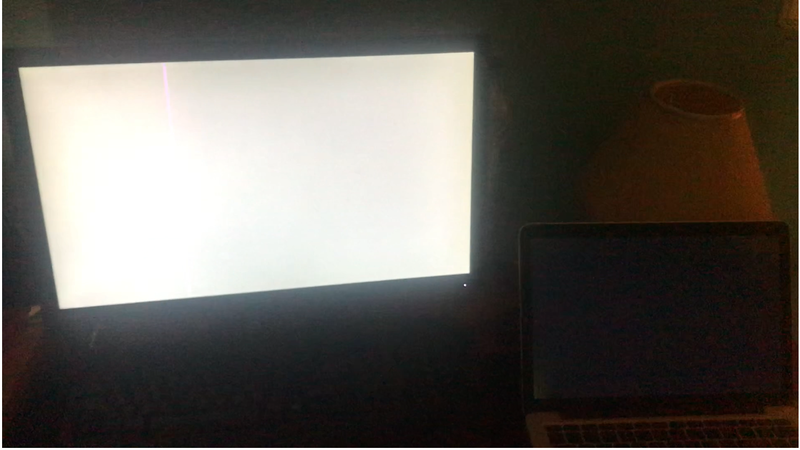 When we press the start button on the Mac it makes the boot noise but the screen turns completely black without answer instead of appearing the Apple logo but a few seconds on the screen appears a weak light. 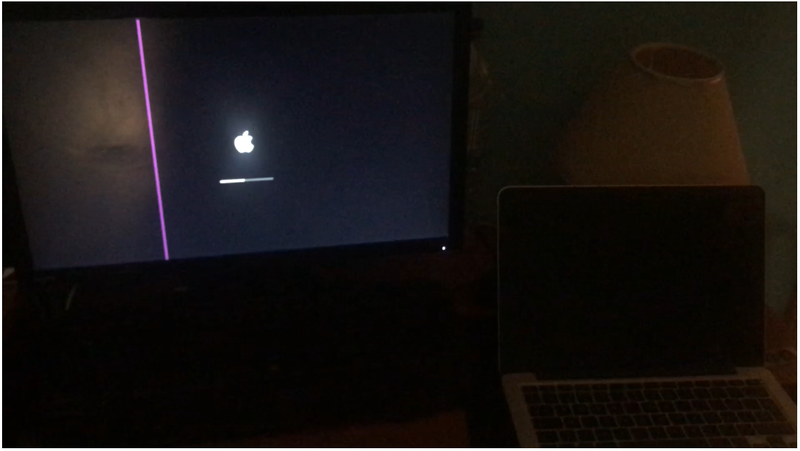 PS: On the external monitor those 2 blue bars appear, but it's not from the Mac is from my monitor. After the image 3 the monitor is always changing as in image 2, the Mac always looks like in image 3. I already tried to reset NVRAM and SMC but no solution.